The SuperFlo is specifically designed to be the best choice for a variety of inground pools. SuperFlo features thick walled body parts, a heavy-duty 56 square flange motor, and highly engineered hydraulics. Its silent running capability and small footprint allow it to easily drop into a compact equipment pad. 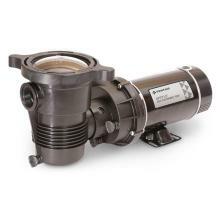 OptiFlo pumps for aboveground pools feature a revolutionary design that delivers dependable high flow performance. 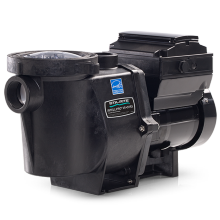 The OptiFlo features a 48 frame-thru bolt motor, easy access to change the discharge port position, service the impeller, and an exclusive Cam and Ramp™ lid. The OptiFlo is available with 3 ft. cord, with a twist lock or standard plug. Dyna-Pro is a rapid, self-priming, medium head pump in 0.5 through 2.5 HP with an extra-large, integral hair and lint strainer. Superior hydraulic design delivers effortless performance and extended pump life. In addition, it is precision-molded with an exclusive thermoplastic composite resin from Sta-Rite® that is highly corrosion resistant. Experience the precision of the IntelliPro VSF pump, along with higher efficiency, savings and performance. 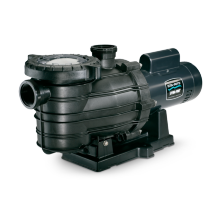 This innovative dual-technology pump ensures the desired flow rate is maintained, even as your pool’s conditions change. And, with the IntelliPro VSF pump, the rest of your equipment performs at optimal levels. 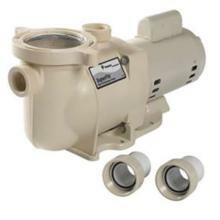 The IntelliPro VSF variable speed and flow pump is just another in a long line of innovative products from Pentair. 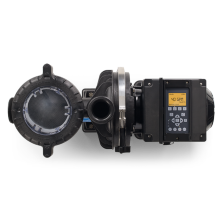 The IntelliPro VSF pump is the world’s first variable speed pump to adjust to a changing pool environment in order to maintain a preprogrammed flow rate. Simply set the desired flow rate and let the IntelliPro VSF pump do the rest. It’s like cruise control for your pump. 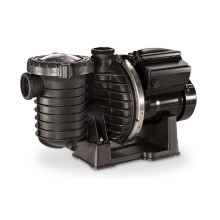 Plus, the IntelliPro VSF pump always provides the precise flow needed for peak equipment performance. 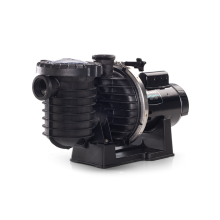 The IntelliPro VSF pump features the smartest pump technology available by combining speed and flow control into a single pump. This technology allows the pump to make adjustments throughout the cycle to optimize energy use. The result is increased energy savings over conventional single- or two-speed pumps—up to 90%. Experience the tranquility that comes from owning the quietest pump on the planet. With the IntelliPro VSF, you backyard experience remains relaxing and enjoyable. In fact, when the pump is operating at low speeds, you might not know it’s running. The IntelliPro VSF pump works seamlessly with EasyTouch® or IntelliTouch® Automation Systems with ScreenLogic2® Interface for total, convenient control. No matter where you are—at home or around the globe—you can manage your pool’s features using a variety of controllers and digital devices. Control has never been so convenient. High efficiency, low maintenance and maximum performance are all features demanded by today's pool professionals. The Max-E-Pro has our Quick-Lock™ trap cover ring and the 2 inch ports, which incorporate internal and external threads for simple plumbing connection, available in single- and two-speed models with ratings from 1/2 to 3 HP. Built with quality construction using a durable one-piece pump housing constructed of Dura-Glas™ Sta-Rite's industry leading glass-reinforced composite resin. Fast cleaning with a new Quick-Lock trap covering permits fast access to strainer basket. Large see-thru lid makes it simple to check for debris. A strong, sturdy, specially-designed base dampens sound and vibration, making the Max-E-Pro one of the quietest pumps in its class. 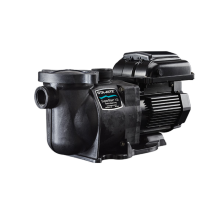 2-speed Max-E-Pro High-Efficiency Pump models are now ENERGY STAR® Certified: meets strict energy efficiency criteria set by the U.S. Environmental Protection Agency and the U.S. Department of Energy. 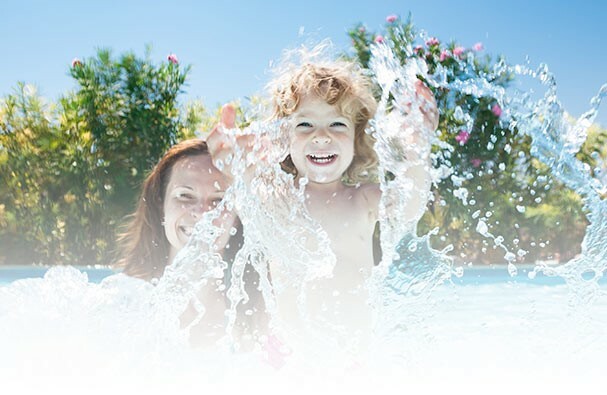 SuperMax VS pumps slash energy costs by up to 80%*, compared to conventional pool pumps. They come to you from the company that launched variable speed technology years ahead of every other pool pump manufacturer. With premium features like a 24-hour real time clock and an intuitive interface that displays watts and RPMs, they're easy to program and operate. No other company can match our proven, in-field performance and reliability, so you can count on years of long, dependable service. No wonder we outsell all other variable speed pumps. 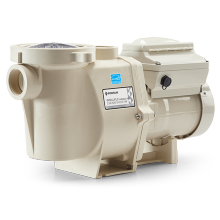 When Pentair® first introduced IntelliFlo Variable Speed technology, it set off a marketplace revolution with its energy efficiency, near-silent operation and long service life. 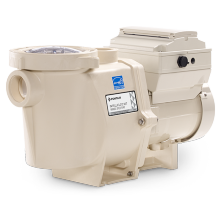 While it can save up to $1,500* in utility costs annually, the IntelliPro VS+SVRS pump also features a built-in Safety Vacuum Release System that automatically shuts off the pump when it detects drain blockage. Sophisticated programming and monitoring capabilities let this pump run at the most efficient speeds for many tasks.